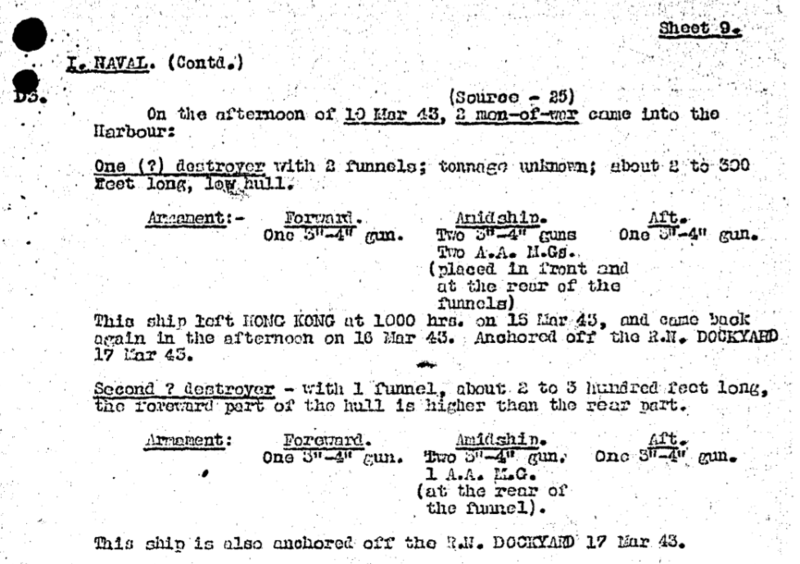 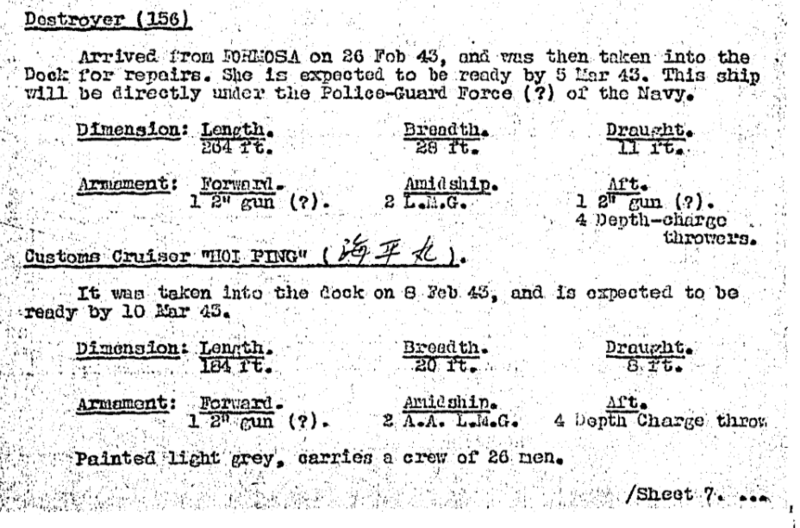 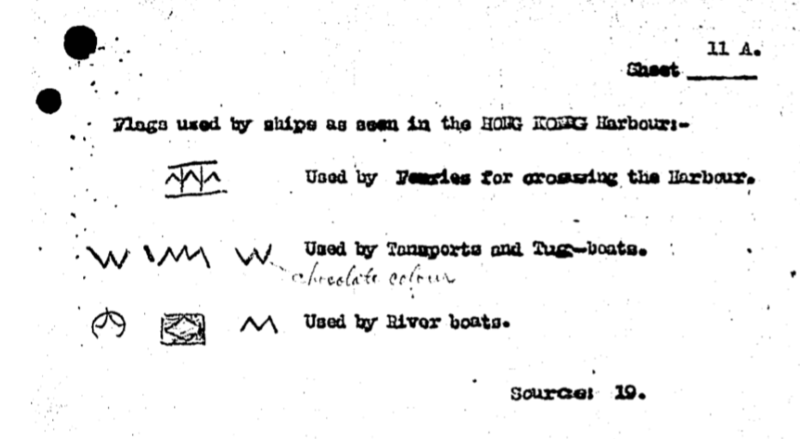 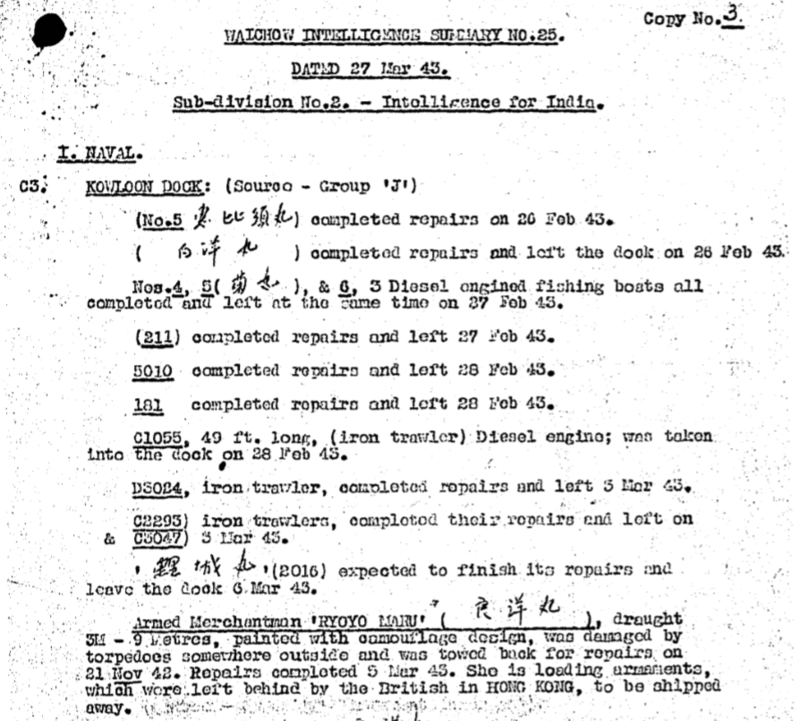 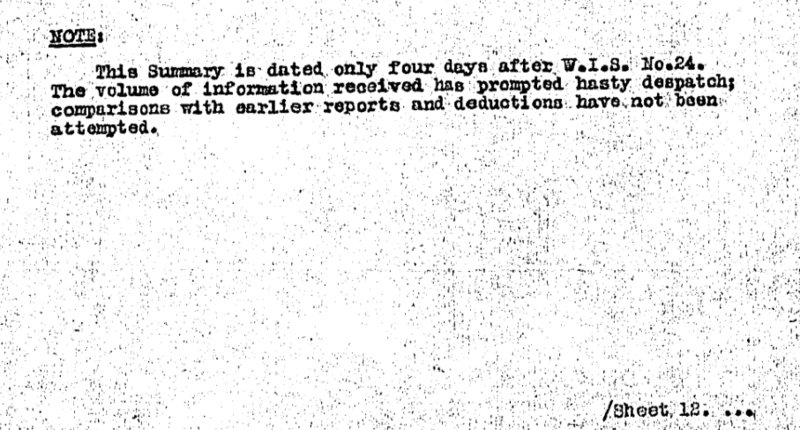 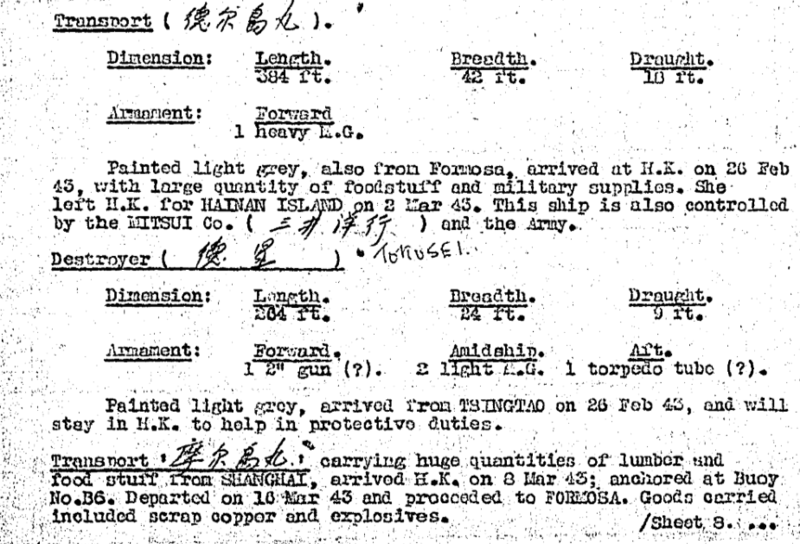 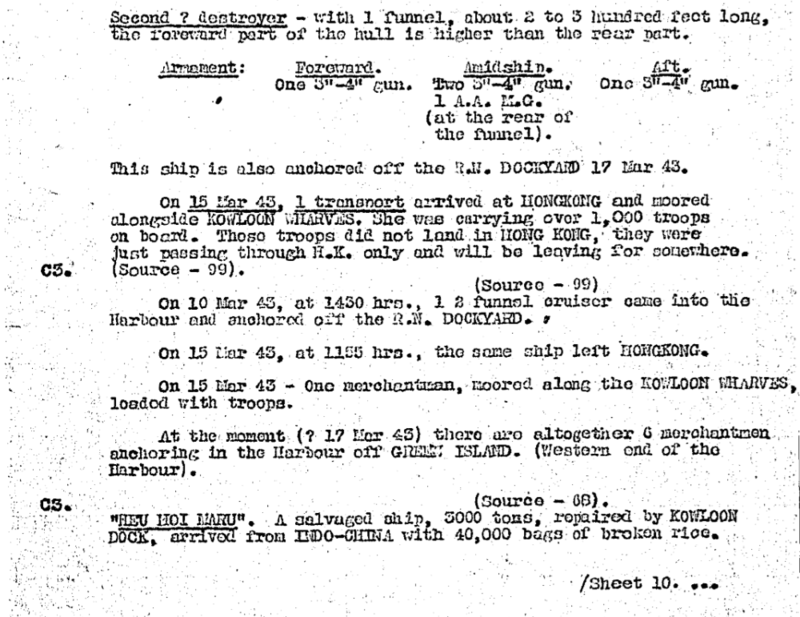 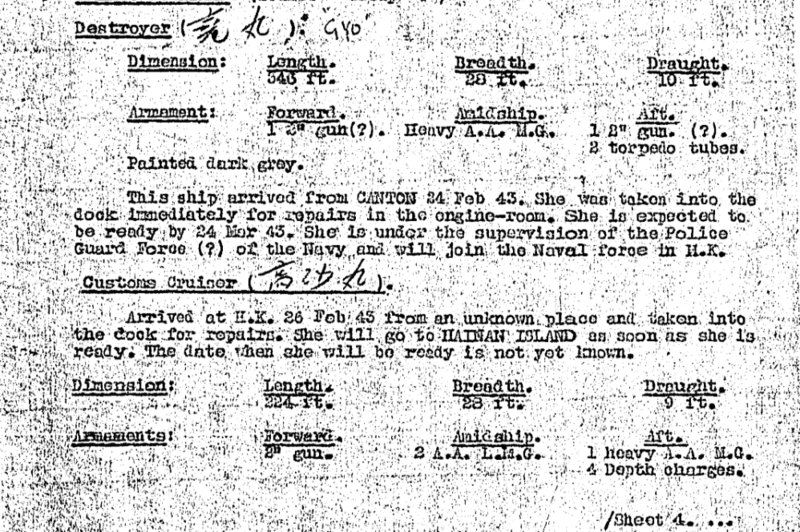 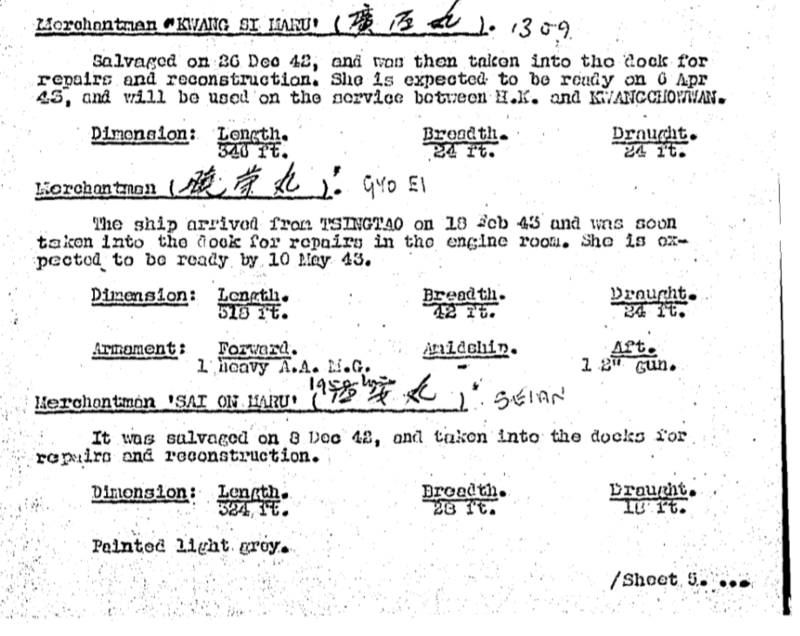 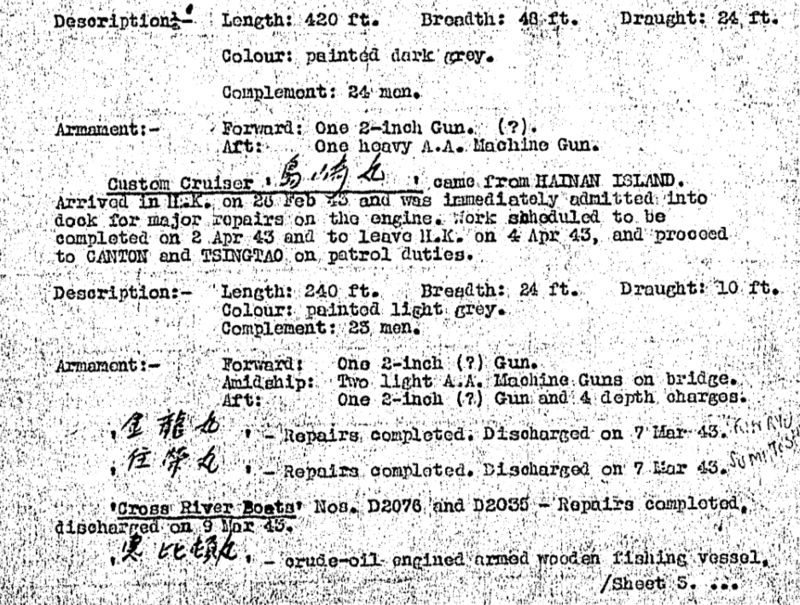 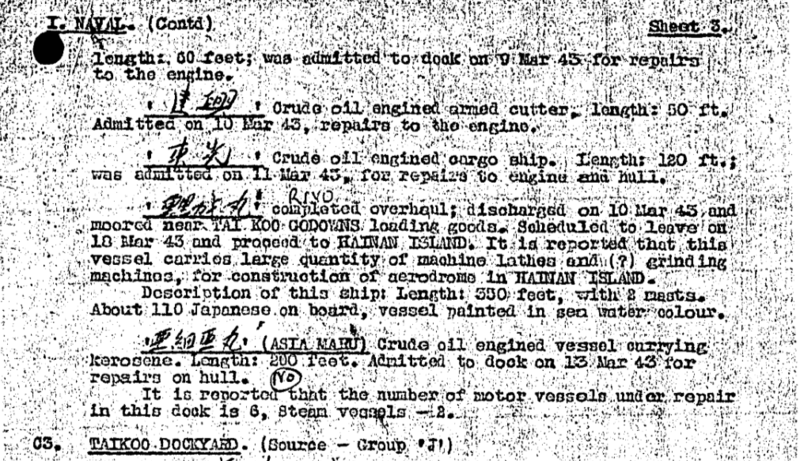 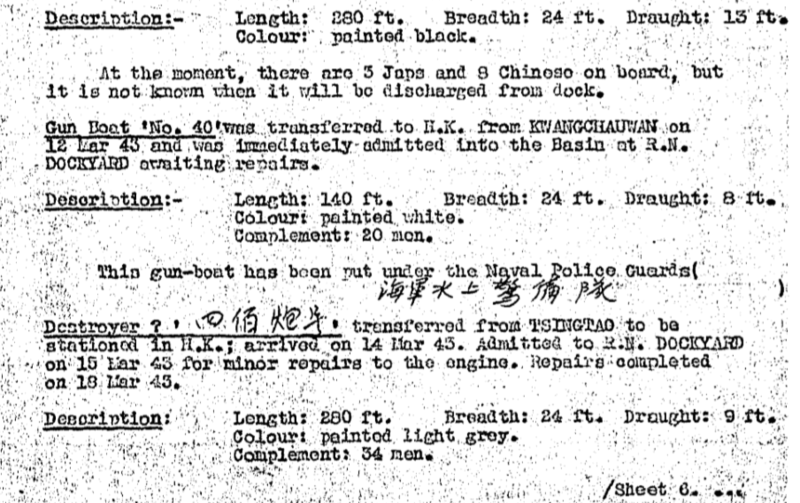 Elizabeth Ride has sent the Naval section of a British Army Aid Group (BAAG) Waichow Intelligence Summary (WIS 25) dated 27th March 1943. 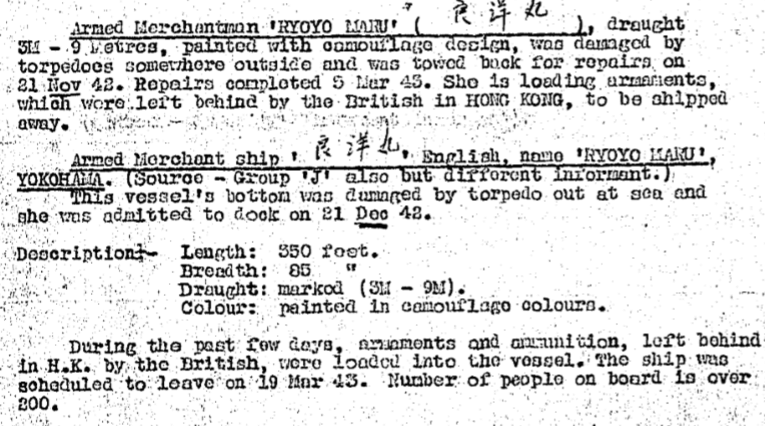 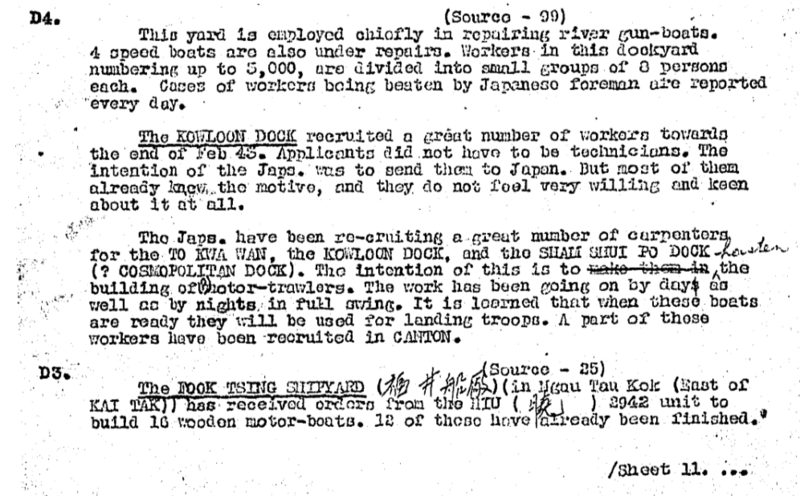 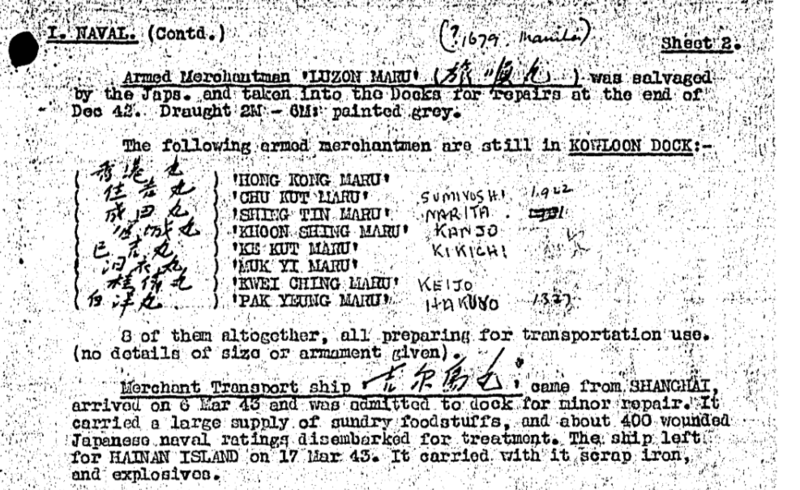 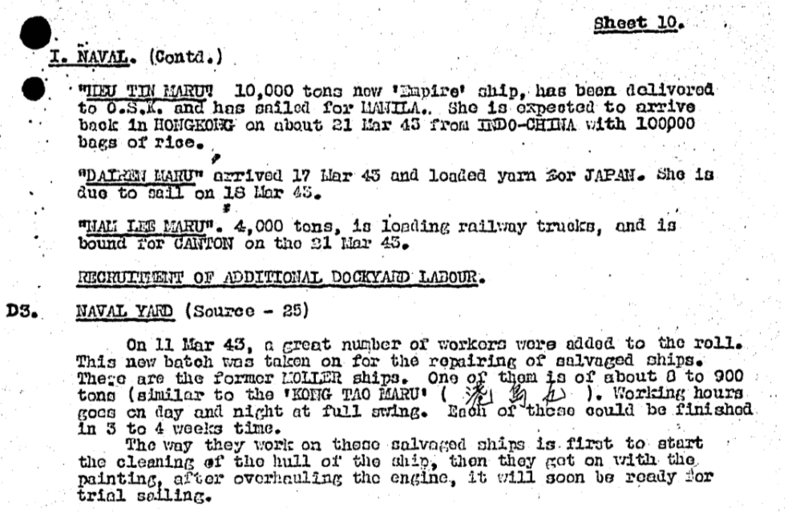 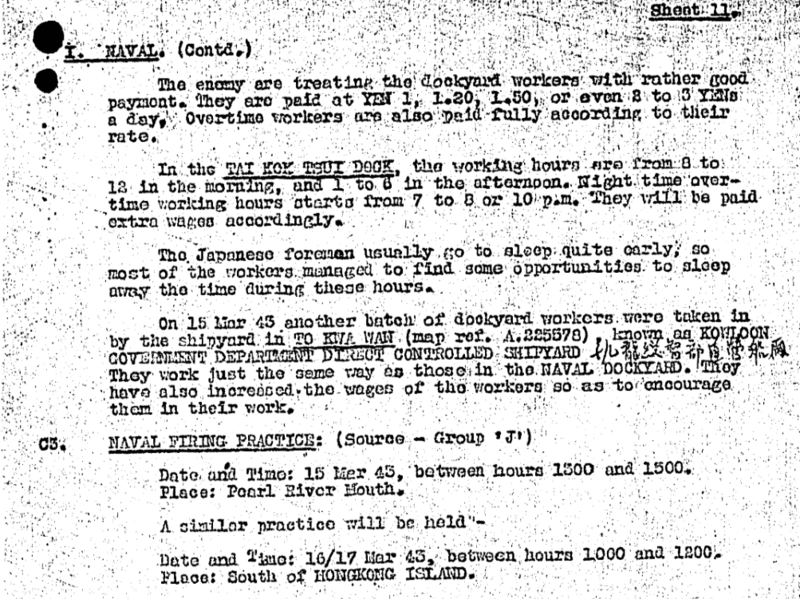 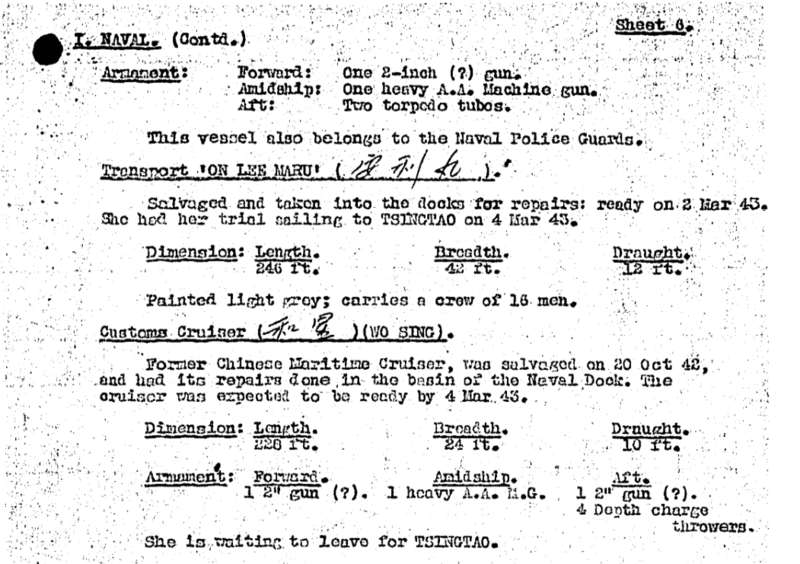 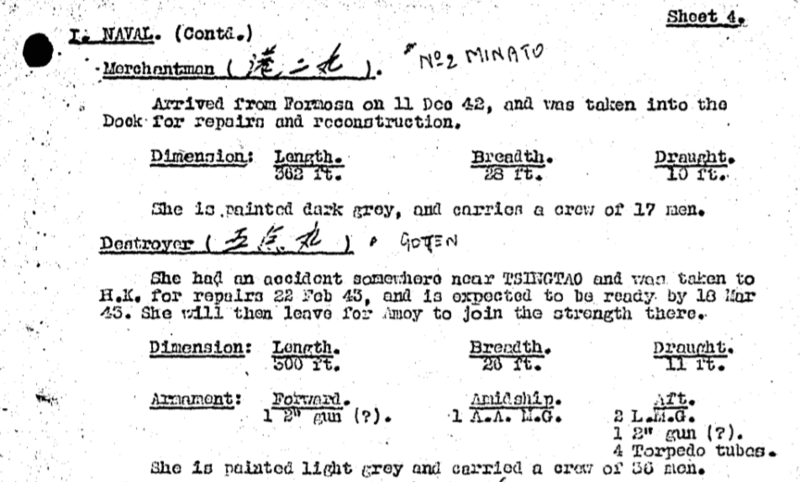 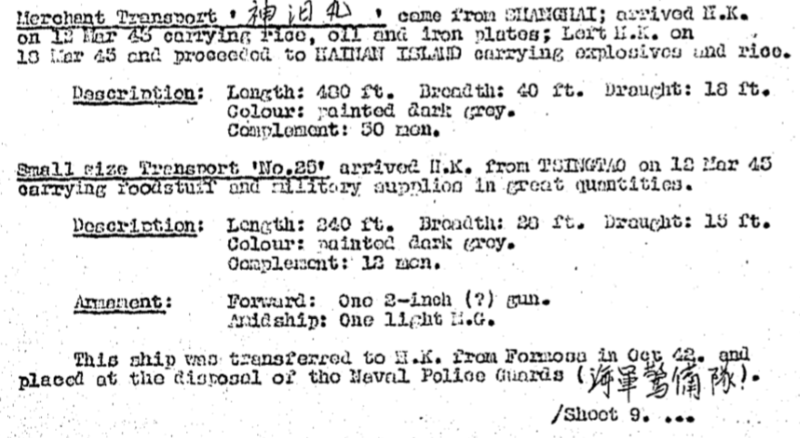 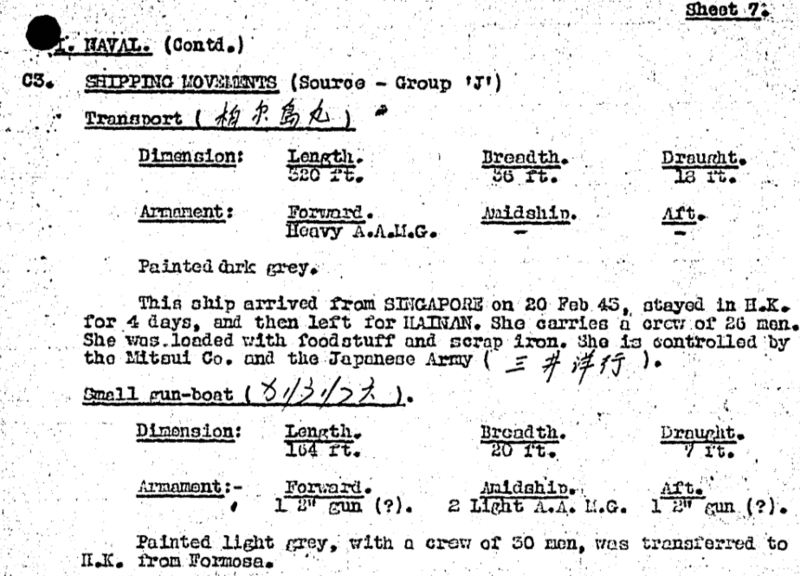 This covers shipping movements in and out of Hong Kong during the Japanese occupation in World War Two during late February to mid-March 1943. 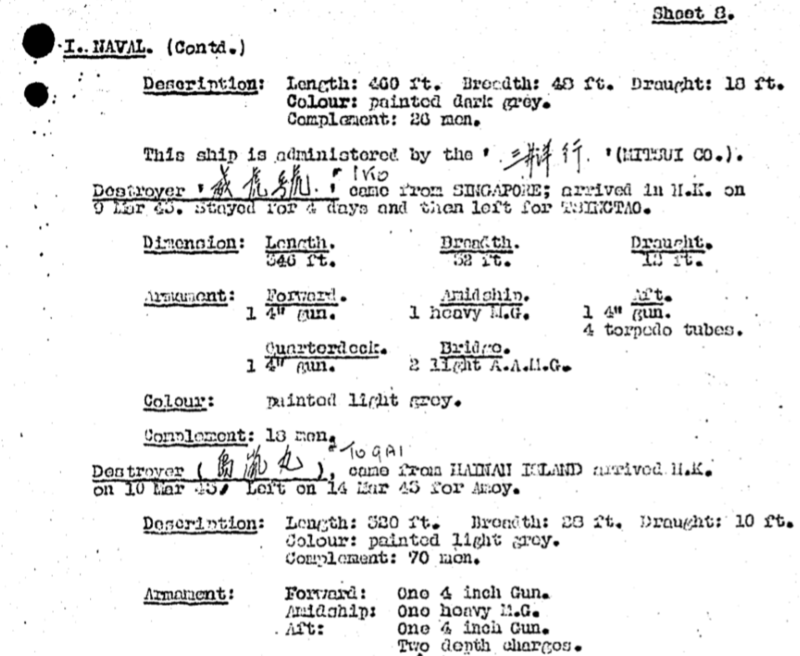 There are a number of Naval Section Intelligence Summaries covering these months which tend to overlap one another.